Don’t let sugary oatmeal raisin cookies or super sweet oat bars fool you—oats are actually an incredibly healthy grain cereal that can work wonders for the heart, help maintain a healthy body weight, and work to steady blood pressure. But when it comes to oats, one size does not fit all. In fact there are numerous different kinds—from whole to instant, steel cut to Scottish, even pulverized oat flour that can be used in many baking applications. All freshly harvested oats start out raw with the kernel, hull, and stalk intact—in this stage, they are known as groats and are nearly impossible to cook or consume. How they are processed from this point on determines the type of grain produced. 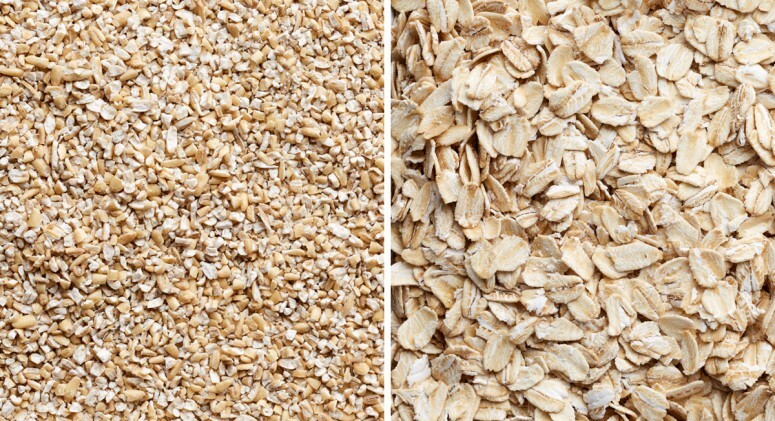 Here, we take a look at two of the most common store-bought types: steel cut oats and rolled oats. Steel cut oats are often referred to as Irish or Scottish oats. They are just slightly more processed than the original groats (leaving their nutrients more intact), and cut into multiple smaller pieces using a sharp metal blade. As such, steel cut oats look most similar to rice and can be used as an alternative. They have more of an earthy and toothsome flavor and take slightly longer to cook than rolled oats, so they are commonly used for things like creamy porridge and hearty stuffing for a turkey dinner. However, because steel cut oats are so solid, they are less ideal as a replacement for rolled or instant varieties. Because of their thicker texture and less processed nature, steel cut oats will take longer for your body to digest. That means they will provide a feeling of fullness for hours after eating and can cut down on excess snacking between meals, which is an important part of weight management (so is the fact that it has less calories). The slower digestion also means that steel cut oats have a lower glycemic index value, or the numerical number attributed to how much a food will affect blood sugar after it’s consumed. Because steel cut oats rank lower, eating them won’t cause blood sugar spikes or crashes, which is important for diabetics and those watching glucose levels. In fact, eating foods with a low glycemic index can result in significantly less insulin resistance, lower risk of type 2 diabetes, and less risk of coronary heart disease. Steel cut oats are a versatile food that can be purchased in both traditional and gluten-free formats. 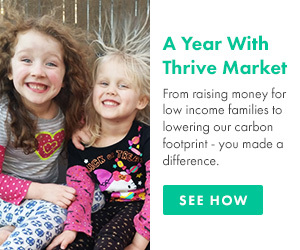 Here are two popular kinds sold at Thrive Market. McCann’s has been around for 150 years, providing rich texture and nutty flavor in each can of whole grain steel cut oats. Cook on the stove or prep overnight using a slow cooker, and have a hearty breakfast or snack option in no time. Those that have Celiac disease or a gluten sensitivity can still enjoy an “oat”-load of delicious favorites with this gluten-free hot cereal that has a relatively mild flavor. They cook in twelve minutes (unlike the half hour needed for some other steel cut oats), so they’re a perfect choice even on the busiest of mornings. Rolled oats are also commonly called old-fashioned or whole oats. They are groats that are steamed to make them soft and malleable. They are then rolled over with a rolling pin and pressed down to flatten into the familiar flakes we often recognize as oatmeal. Because they’ve been flattened, their surface area is greater—meaning they cook quicker than steel cut oats and and better maintain their shape during the cooking process by absorbing more liquid, which makes them ideal for things like granola bars and oatmeal. In general, they are much preferred for baking. The rolling process also helps to stabilize the healthy oils inside these oats, allowing them to stay fresher for longer. Rolled oats have two subcategories: old-fashioned and quick (a.k.a. instant). Instant oats are the most processed of all styles. That’s because they’ve been pre-cooked then dried out. Once dried, they are rolled and pressed even thinner. Though one of the benefits is that instant oats cook the fastest, the tradeoff is that they don’t maintain their shape when cooked and can come out mushy if overcooked. In general, rolled oats have an almost identical nutritional profile to steel cut oats, except for slightly more calories and a bit higher ranking on the glycemic index. The main thing to watch out for with rolled oats, particularly more commercial instant varieties, is that have sneaky added ingredients like extra sugars and chemicals. While these products have the allure of being quick, easy, and healthy, they’ll load you up with unnecessary and possibly harmful ingredients in the process. The main benefit of rolled oats really comes down to cooking time. You can cook these oats on a stovetop or in the microwave in a matter of mere minutes, while steel cut oats can take up to a half hour (though you can always cook steel cut oats overnight to reduce cooking time by ten minutes or cook them in a slow cooker while you sleep). Additionally, when it comes to baking, rolled oats are generally the top pick for cookies, muffins, or other baked goods. Steel cut oats usually retain their rough texture, while quick oats make soft, chewy pastries. Rolled oats are also available in different varieties, from super thick to flattened, and too can be gluten-free or instant. 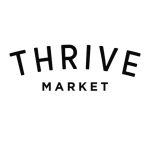 Here are two options at Thrive Market. Go for this brand if you crave the thicker texture of steel cut but want a quicker breakfast. These 100 percent organic, extra thick oats are uniquely “kiln toasted,” so they end up extra chewy and produce robust European-style cereal and yeast breads. Try the gluten-free option too. One of the great things about rolled oats is that they cook more efficiently. These individual packets are especially ideal for on-the-go mornings or when you want to whip up something easy at the office. There are no added sugars in this brand, and you can add in fresh or dried fruit, nuts, spices like cinnamon, or agave syrup to make it naturally sweet. When it comes down to nutrition, both steel cut oats and rolled oats have almost the same makeup—both are considered a viable health food that can have a number of benefits when incorporated regularly into diet. First, oatmeal contains the largest proportion of soluble fiber of any grain, particularly in concentrations of beta-glucan. Soluble fiber, like the kind found in oats, bulks up in the stomach and helps the body feel fuller for longer periods of time. Fiber is also well-known for its benefits to digestive health. As it passes through your body, it clears out the digestive tract and helps to regulate the transit time that food needs to process into nutrients and waste, meaning you’ll have more regular movements and less issues with constipation. Another important benefit of fiber is that it has been shown to decrease amounts of low density lipoprotein, or LDL cholesterol, which is often referred to as the bad type (as opposed to the good type, called high density HDL). If high cholesterol goes untreated, it can lead to high blood pressure or even cardiovascular disease. Reduce the risk of asthma in children. Many parents will avoid feeding children solid foods too early out of concern for certain health problems and allergies, but a Finnish prospective study of over 1,200 children found that babies that were introduced specifically to oats earlier in life were less likely to develop persistent asthma. Cut down on the use of laxatives, especially in the elderly. When nursing home residents are given laxatives, it can lead to malnutrition and unwanted weight loss. However, this research has shown that eating oat bran daily helps patients discontinue laxative use and maintain body weight. Help control blood pressure. Studies like this have shown that diets that include a daily portion of oat cereal results in a reduction in blood pressure, lowering the risk for heart disease and stroke. Oats are not only a great way to start the morning, but also a nutritious ingredient in baked goods, shakes, and other recipes. Here are a couple of ideas for how to use them creatively. Part oatmeal, part spice cake, and all delicious. This tasty recipe transforms plain rolled oats into a delicious dessert—and it’s nutritious enough for breakfast, too! The main ingredients are carrots, apples, and raisins, and you’ll also need a good dose of spices, almond milk, maple syrup, and coconut oil. Dessert for breakfast? It will taste like it with this tempting recipe that looks like oatmeal but comes off like apple pie. To make, soak gluten-free rolled oats overnight so they become soft and creamy. Then, stir in servings of Greek yogurt, apple juice, grated apple, pecans, hemp seeds, honey, cinnamon, ginger, and sea salt. It only takes eight minutes to whip together, making it the perfect breakfast option when your morning is a little manic.